Before you commit to a multi-year license and maintenance contract, you should explore answers to these key questions. Learn more about the future of enterprise application services. Can I enable self-service provisioning with my ADC solution? Can I elastically scale my load balancers and my application servers? Can I get real-time insights and visibility into application traffic? Does my ADC solution provide continuous security insights? Can I automate and integrate with OpenStack, VMware, AWS, SDN and Containers? 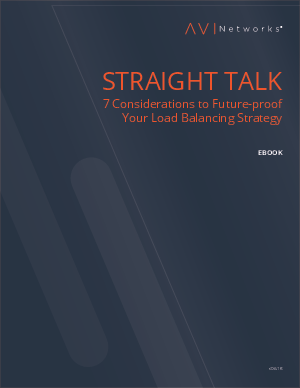 Review our ebook to learn how to improve your future load balancing strategy.